The Goods for Guns Program was created in 1994 in Allegheny County, Pa. The program is designed to reduce the amount of private ownership of firearms, in order to reduce firearm injury rates. Since then, similar programs have sprouted all over the country. Americans can turn in their firearms to their local police stations, public health departments, or Churches for destruction, and in return will receive something for free; such as flu shots, groceries, gift certificates, and cash. Of course free people can turn in their firearm in exchange for whatever is offered, but to think that giving up our firearms will reduce firearm injuries is largely a myth. In fact, there is evidence that shows the complete opposite. Gary Kleck, a professor of criminology at Florida State University conducted a study of the frequency and effectiveness of defensive gun use by crime victims. The study revealed that compared to the approximately 400,000 crimes committed by offenders with guns, in 1993 there was about 2.5 million incidents in which victims used guns for self protection. While Good For Guns claim to be helping reduce accidental injuries, they omit the fact that the accidental gun death rate has been declining steadily without them. According to the Center for Disease Control in the year 2000 there have been 776 fatal firearm accidents. The number of fatal firearm accidents declined to 642 in 2006. 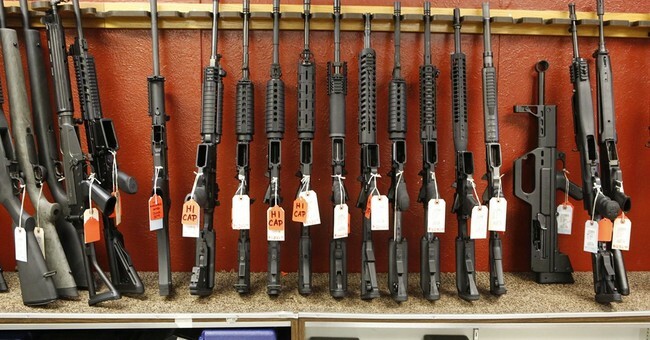 Dr. Michael P. Hirsh, who is the founder of Goods For Guns, was grieved by the loss of a colleague due to a criminal act involving a firearm, sought to reduce accidental gun violence particularly among children. The major cause of death among children, adolescents, and young adults are due to motor vehicle crashes, fires, falls, drowning, and poisoning. We would have a better chance of reducing fatal injuries of children if we stopped driving our cars and eliminated private pools. The reality is we will never be 100% safe. But common sense safety measures while handling firearms, vehicles, and swimming pools have proven to be effective in reducing injuries. Firearms are not only a constitutionally protected instrument but also it is a safety device for protection. Those who support gun bans are not protecting society they are actually leaving us vulnerable to injury. Recall the Colorado movie theatre incident in July when fifty eight people were injured and twelve people were killed by a psychopath wielding a firearm. None of the victims were armed because the theatre is a gun free zone. If there was one person carrying a firearm maybe someone or everyone would have been saved by one gun shot toward the culprit.